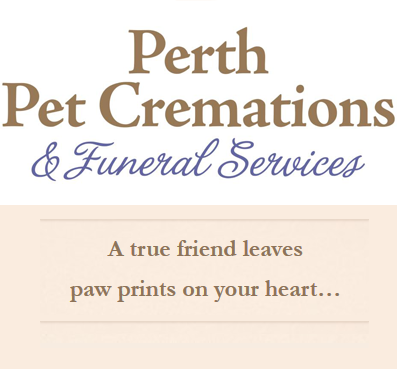 A Pet Is Never Forgotten at Perth Pet Cremations & Funeral Services. 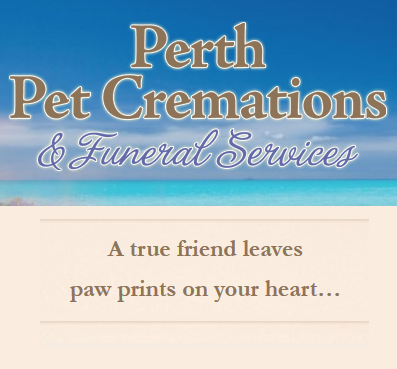 Our staff at Perth Pet Cremations & Funeral Services really do understand the impact it can have on you and your family when you're much beloved family pet passes away. We know what you're going through so if you would like to ring us, we are always available for a caring chat during this sad time because we've been through this ourselves and we have trained grievance counsellors and staff members available any time. Our children need special consideration when they experience the loss of a pet and at PPC we offer "The Rainbow Bridge Chapel" a wonderful way to help your children understand and give closure to the painfully sad loss of the passing of their best friend. Cremating allows you to keep your beloved companion's ashes close to you forever and gives you more personalised options to remember your pet. It may have been weeks, months or years since your pet passed away however the memory of your friend never leaves you. It is never too late to have unique and special remembrance product. Perth PPC do not only offer individual cremations but supply a number of beautiful products that keep our loved ones on our minds and in our hearts. PPC are Perth's number one cremation company and are highly regarded for their professional advice in times of need. Please call or visit our website for more information. Please contact us, as well as their veterinary practice (if possible), and the appropriate authorities in your area (eg. RSPCA, ANKC, Local Council etc). *All dog breeders listed on Perfect Pets are verified ANKC registered breeders at the time of joining, and annually. Cat breeders are appropriately registered according to their local state/territory guidelines - also verified on joining and annually thereafter. All dog breeders have agreed to abide by ANKC Regulations, including the Code of Ethics. Please note that because Perfect Pets cannot be directly involved in interactions we cannot accept responsibility for any agreement entered into by a breeder and a pet buyer. Please follow the advice provided. Perfect Pets has no powers of enforcement and cannot guarantee the reputation of any breeder, or the soundness or suitability of any pet you may decide to acquire. You must satisfy yourself that any pet you decide to acquire is healthy, sound and satisfies your requirements.